River City Ransom set an early precedent for how a brawler should control and feel. Utilizing RPG and twitch based mechanics to tell the emotionally charged story of high school students Ryan and Alex beating the stupid out of frat guys and jocks to rescue a pretty lady, River City Ransom is something of a cult classic among gamers of the 8-bit generation and beyond. Developer Conatus Creative aims to give this highly cherished game a sequel worthy of its heritage via Kickstarter. Check out what the team has to say about their dream project. River City Ransom:Underground is currently up for crowdfunding on Kickstarter. 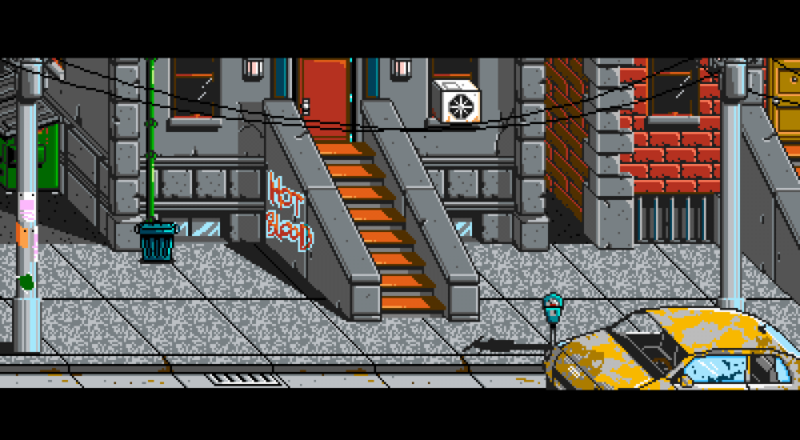 Conatus Creative purchased the rights to the River City Ransom name in order to make this labor of love into a canonical sequel. Much like its predecessor, RCR:U is a 2.5D beat'em up designed in a retro pixel art style. It does diverge from the original by having four player co-op instead of two, and a greater cast of playable characters with unique fighting styles. Players will slug bikers and gang members (each group possessing their own abilities and AI), buy gear from shops, and grand slam skulls with various weaponry through the open world exploration of River City. Conatus Creative’s interpretation of a followup to a much-loved classic looks like a move in the right direction for the franchise. The original game clearly holds a special place in the hearts of the folks developing the sequel, and their commitment to bringing a quality product feels sincere. The team is still well away from their $180,000 goal with just under a month left in their Kickstarter. Page created in 0.9230 seconds.